Well, I have sadly reached the climax of the Starbox review trio. I have had so much fun trying out this subscription and hope that I stay on the team to show you more. 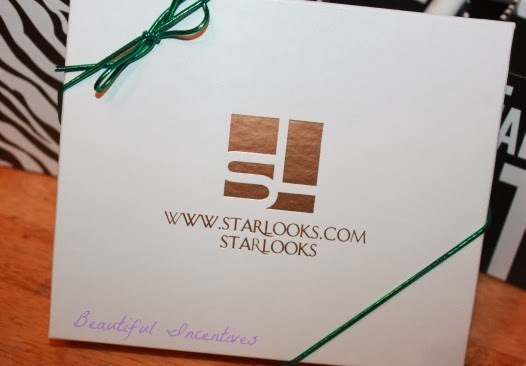 Starlooks starbox has proven to be one of the best makeup subscription boxes out there. Over the past year they have really revamped their program and offer much better choices. At just $15, you get an amazing amount of high quality cruelty free makeup and accessories. I use makeup from several boxes almost every day. Especially the blushes and liners. As I stated in the previous reviews, they are gorgeous and apply very well. If i've ever been disappointed in one product, there would always be another product or more that I love to take its place, which makes it well worth the money you pay for it. I'm excited to introduce the 15 shade Palette to you. The retail for this beauty is $99 and it is absolutely stunning. The colors are highly pigmented and go on very smooth. It's also a very versatile pallet that can be used for day and night time looks. I love that this includes more neutrals that can be worn every day, rather than all bright colors. While there are plenty of neutrals, there are also a few bright colors, which are just perfect for dressing up a smokey eye, with a dash of extra color. Alternatively, you can mix the brighter colors with any of the beige or whites to tone down the brightness and have whole new colors to play with. I love playing down the pink with some pearly white and combining it with a smokey grey look. There are endless possibilities for looks in this pallet and you can easily get ready for work as much as a night out with the same pallet. I also noticed that this pallet houses all of the season's colors. The deep greens, browns, silvers and neutrals are perfect for fall and winter, and the bolder pink and green are great for spring time. This is truly my favorite product by them so far. Second to the blushes. 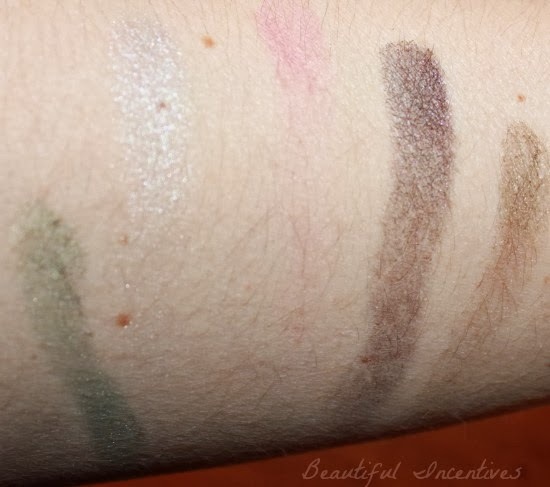 As you can see from these examples, they are highly pigmented. For this look, I put on the pearly white as a base, the green in the crease, with a little silver on top and the maroon in the upper crease. Then I used the black to line my upper lids. 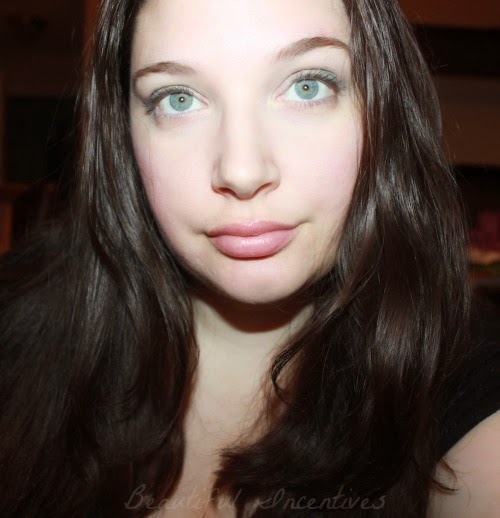 I topped the look off by lined my waterline with Starlooks Mirage Diamond Line pencil (Silver color) and used a mix of pink and beige blush from October's Starlooks box, which contained a trio of blushes. I am loving my Starbox goodies and I know you will too! *Subscriptions need to be placed by the 10th of each month in order to receive that month’s Starbox. 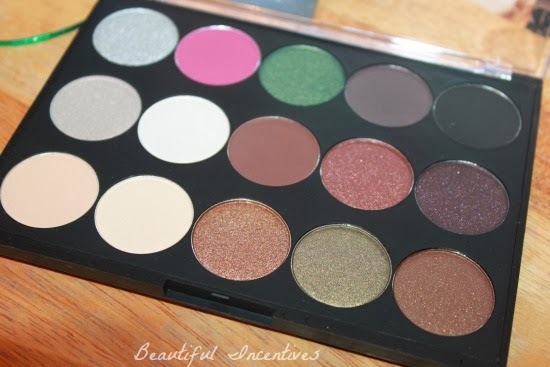 http://starlooks.com/collections/eyes/products/15-shade-shadow-palette The one you've seen today is a special fashion forward mix for the holidays. Again, Subscriptions are only $15/mo + shipping! Also, check out their amazing Starlooks looks book each month for beautiful editorial pictures showcasing the products for each Starbox.